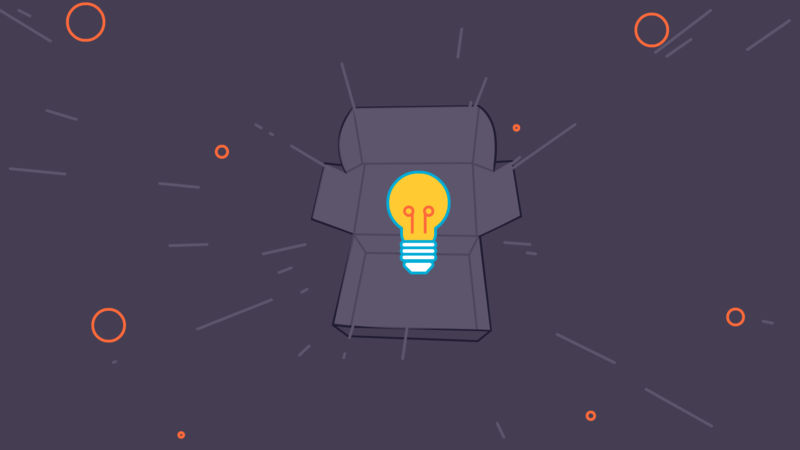 With the new Groove Learning Software Stack I have been thinking hard about starting a subscription box (you can see the amazing perks here including Cratejoy perks). I know some people are thinking… not another one, they are such a fad. However, if recurring, dependable revenue is a fad, ill hop on the bandwagon. To that end, while I am trying to decide what my new subscription box will be, I have been collecting a swipe file of some of my favorite designs. If you want to download my complete swipe file (with over 15 pages of inspirational subscription boxes), head over to the Groove Learning forum and download. In the meantime, let’s do a quick run down of three of my current favorites. They have a great name, a great hero image and an amazing headline. 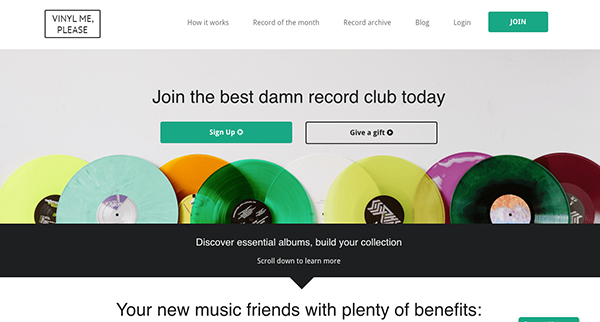 The combination almost made me signup and I don’t even own a record player. Scroll down a little further on their homepage and you’ll see their testimonial section which is also a thing of beauty…. Not only do they include words of praise from a credible source, but they also have a video of someone (presumably the person testifying its greatness) opening the box. The brand is strong and over all it’s a hip, cohesively executed idea. 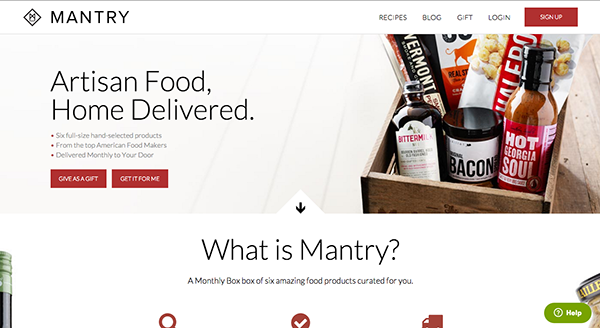 I love Mantry for its clear, beautiful product images. When you see this website you have no question about the quality of what they are selling. If you are going to invest in one thing, it should be your product images. 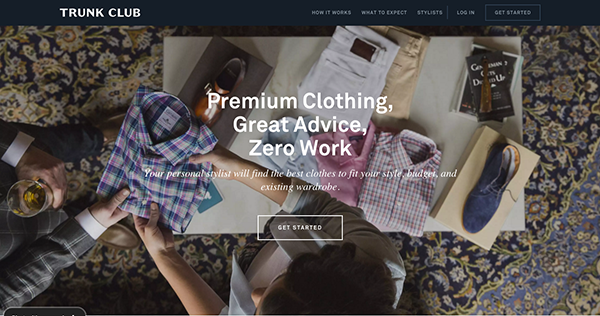 Trunk Club spells out their service clearly in their banner. Their copy and the way they personalize each step (from showing you member’s trunks to introducing your personally to stylists) makes you trust that they know what they are doing. Need more inspiration or ready to start your own subscription box? Here is what you do next. First, head over to Groove Learning and take advantage of the Cratejoy perk in our software stack (and engage with our awesome community).